The ultimate Mother's Day gift for the expectant mom. 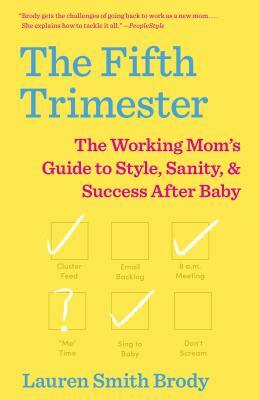 Lauren Smith Brody is the founder of The Fifth Trimester movement, which helps businesses and new parents work together to create a more family-friendly workplace culture. A longtime leader in the women’s magazine industry, Lauren was most recently the executive editor of Glamour magazine. Raised in Ohio, Texas, and Georgia, she now lives in New York City with her husband and two young sons.